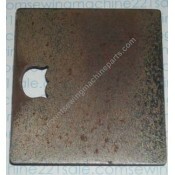 Oil cover plate (measures approximately 1 5/16" X 2 1/2"). Some rust, please note the condition as ..
****SOLD OUT**** Bed slide cover plate with spring #208800 which is riveted on (measures approxim..
"Original" (used), no longer available as new. 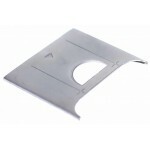 We can not determine the quality though we will send..
Order part Singer Slide Plate Front #54512 (55504 short). "Original" No Longer Available. We can n..
Compalible with zig-zag plate #172200. NOTE: When replacing new plate you must also use new style s.. Compatible with zig-zag plate #312777.Alternate Part Numbers314666Fits the following Singer sewing m..
Use this slide plate if you fill your bobbin from inside the machine from the needle. Compatible wi.. Measures 2" X 1 13/16." Has a dull metal matte finish. Comes with instructions on how to install p..
Transparent slide plate compatible with zig-zag plate #357745001.Fits the following Singer sewing ma..
Alternate Part Numbers181588Fits the following Singer sewing machine models 1030, 1036, 2000, 200.. Compatible with zig-zag plate #409286.Fits the following Singer sewing machine models 1200G, 1411U,..
Singer slide plate fits model 290.Fits the following Singer sewing machine models290..
Slide plate compatible with needle plate #312777.Fits the following Singer sewing machine models 187..
Singer slide plate fits: Fashionmate and Stylist series, 200, 300, 400 series. Compatible with zig-.. This slide plate is for flat bed ONLY. Measures 2 1/2" wide by 3 1/4" long. Fits the machines list.. This slide plate is for free arm ONLY. Measures 2 1/2" wide by 1 7/8" long. Slide plate compatible..
Slide plate for 101. Comes complete with spring (66526). Note: Spring is no longer available as a ..
Slide plate #45358 sold complete: includes plate #45356, spring #45357 and 2 screws #51282. 2 1/2" .. 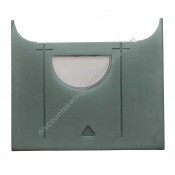 Most common, fits model 127 series, rear, measures 3 1/2" long by 1 5/8" wide. Please measure your .. 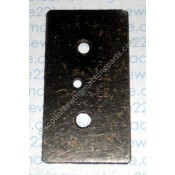 Compatible with zig-zag needle plate #174198, for flat bed models.Fits the following Singer sewing m..
Slide plate for flat-bed Stylist machines such as those listed below. Compatible with zig-zag plate.. Compatible with zig-zag needle plate #174198, for free-arm models.Fits the following Singer sewing m..
Slide plate for free-arm Stylist machines compatible with zig-zag plate #312391.Alternate Part Numbe.. 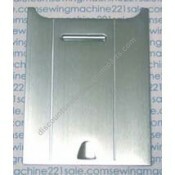 Fits 28, 128 portable type or small Singer long bobbin machine front slide plate "new" (after market..